Love hand-dyed yarn? Inspired by your favorite indie dyers? Here's your chance to play with color and learn how to create your own bespoke colorways. 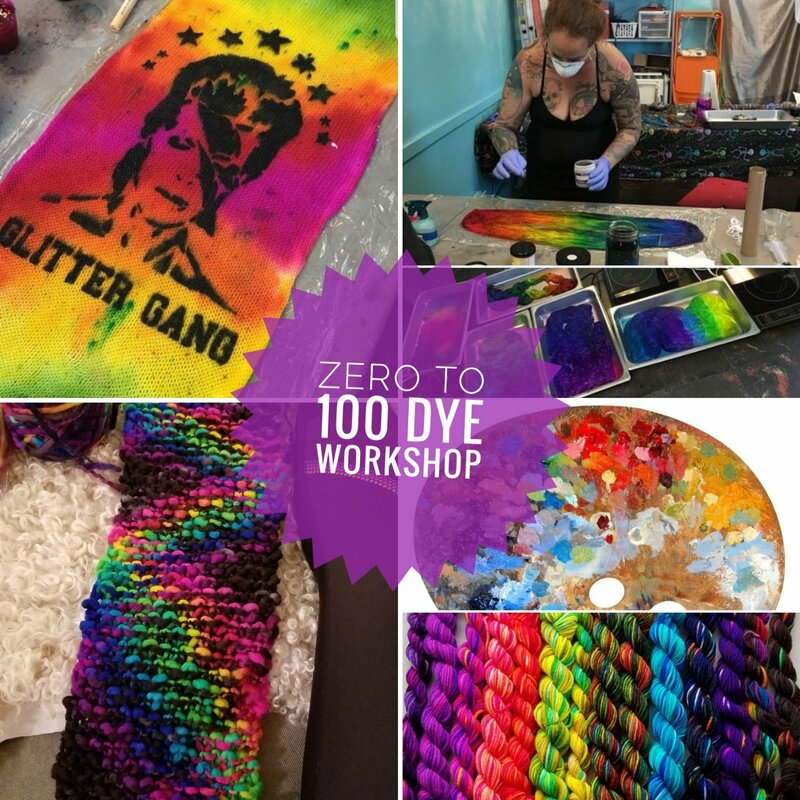 Dyer extraordinaire, Nicole Frost will teach you everything you need to know. Students will go home with 4 full-size skeins dyed in each technique and a printed sock blank. You will also get a laminated dye cheatsheet.